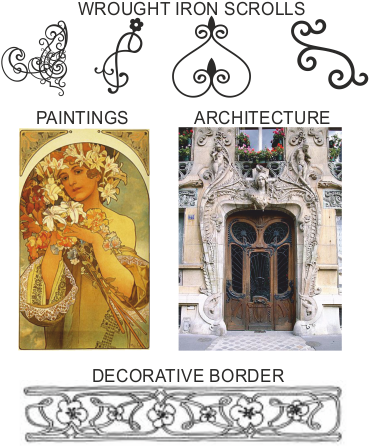 Art Nouveau was the dominant style from the 1870s to 1920s, for the rich, not the working class. It involved the use of elaborate decorative detail. Examples include wrought iron scroll work, highly skilful jewellery, prominent architecture and elaborate interior design. 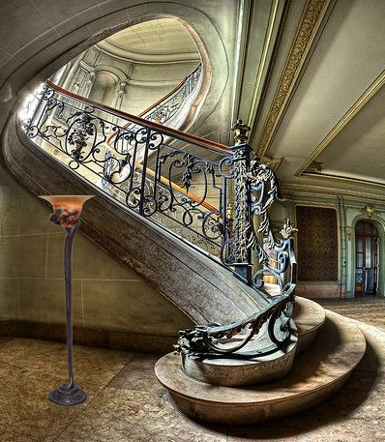 Art Nouveau designs were manufactured by highly skilled workers, in factories / workshops. They were either ‘one off’ or small batch. 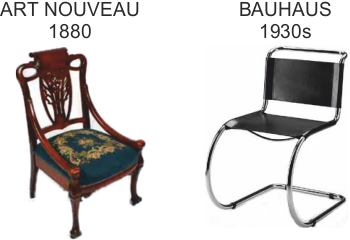 Compare the two chairs, one is Art Nouveau and the other is Bauhaus.